I went into Pigment a few weeks ago and someone told me about this Lemon Bird’s Tomato Vanilla Jam… I was skeptical at first (tomatoes as a jam? ), but now it’s my favorite thing ON EARTH. I’m completely obsessed with all things Lemon Bird Jams. 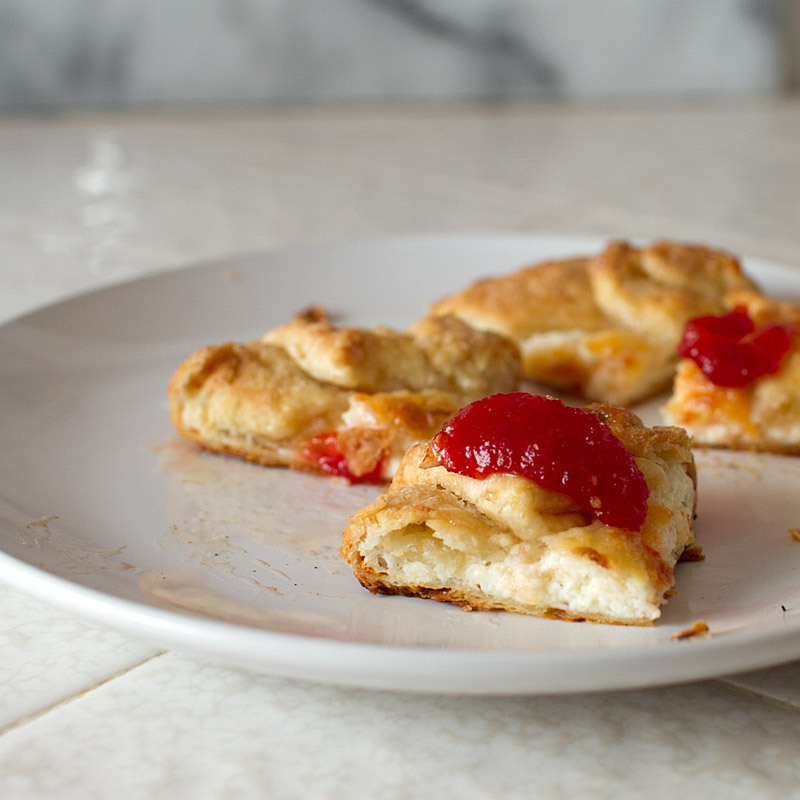 I wanted to do more than eat it on a cracker, so I decided to make a simple crostata with fresh, homemade cheese! You can skip the pastry step and use store-bought pastry (all-butter pastry preferred), but don’t skip the milkwash + raw sugar on the crust. That *makes* the crust. For step by step crostata instruction, see this recipe for Asian Pear and Lemongrass Custard Crostata I made a while back. The beauty of this recipe is its simplicity, and simplicity means using the best, freshest ingredients you can find. You can use store bought goat cheese and ricotta for this, but I encourage you to make the cheese yourself! It’s a world of difference, and ridiculously easy, especially with the Urban Cheesecraft Kits from Pigment. Let’s start with the goat cheese. 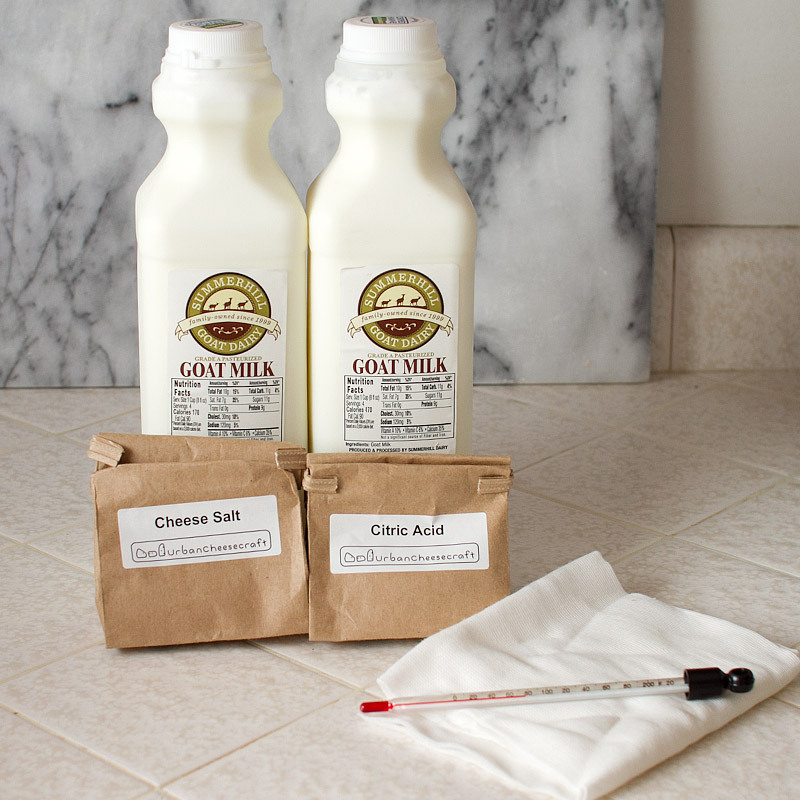 Everything you need is in the Urban Cheesecraft Kit – cheese salt, citric acid, cheesecloth and a thermometer. You’ll have to supply your own goat milk. Make sure the milk is “pasteurized” and not “ultra-pasteurized”. Dissolve the citric acid in water and set aside. Bring the goat milk up to temperature according to the cheese kit’s directions. 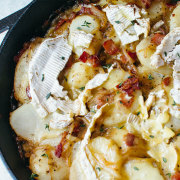 For firm cheese it’s 190F, 185F for soft cheese. Once it’s up to temperature, add in the citric acid and watch all this science happen right before your eyes! 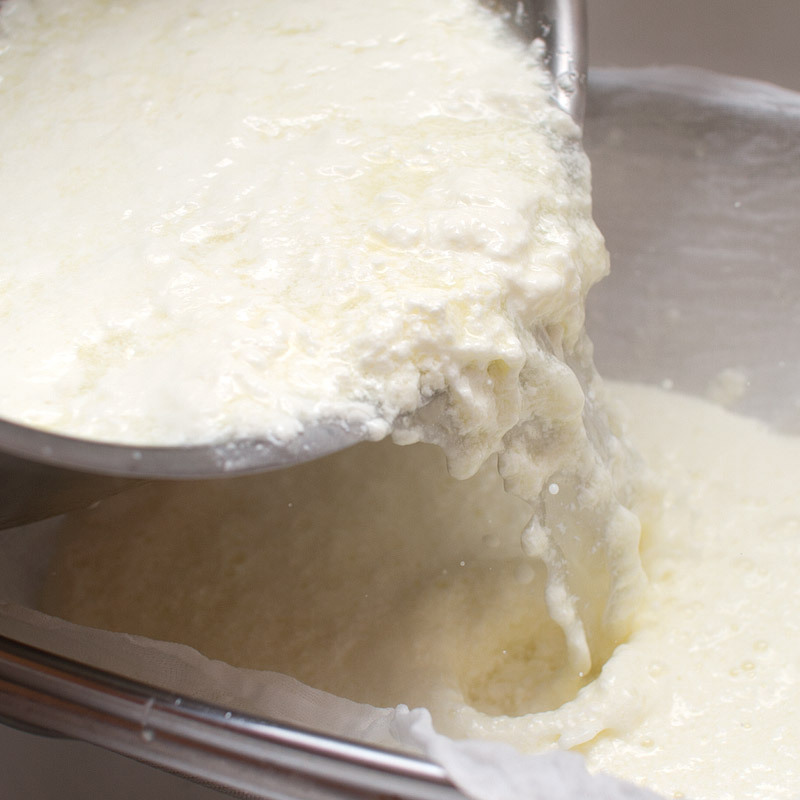 The curds start to separate from the whey. That’s the cheese, y’all! This is what Lil Miss Muffett was talkin’ about! 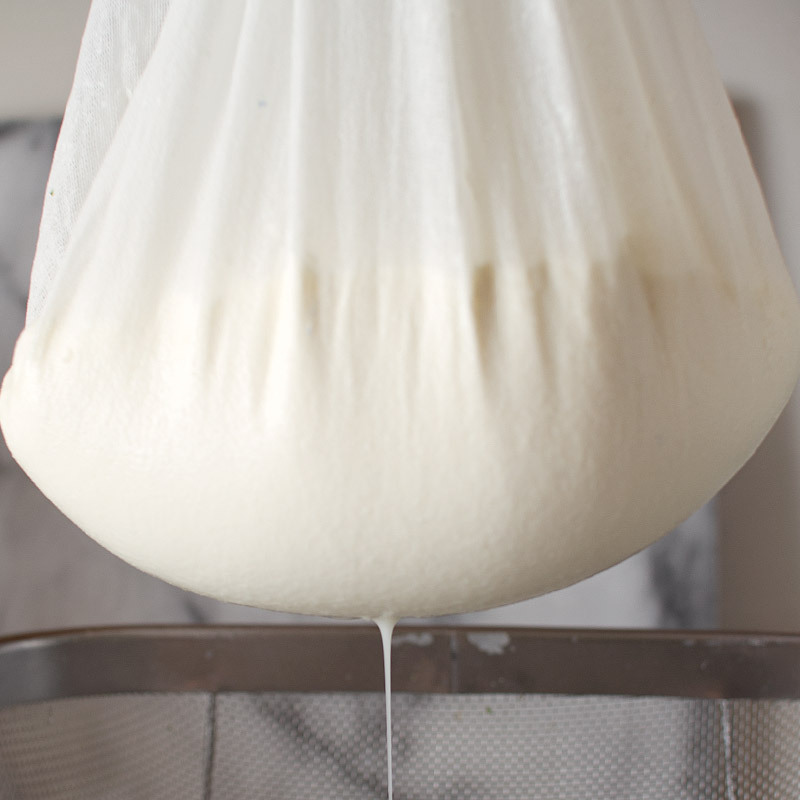 Place the cheesecloth in a strainer and drain the curds away from the whey. Mix in the cheese salt. Pack into molds and let drain another hour or so. That’s it! 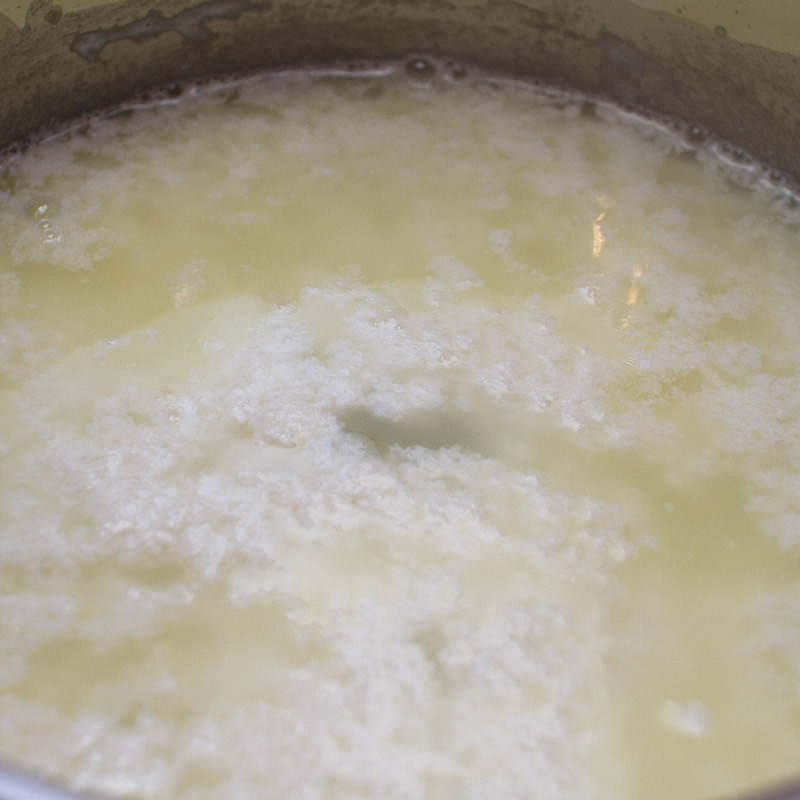 Now the fresh ricotta – I didn’t use the cheese kit for this, just good ol’ fashioned white wine vinegar. 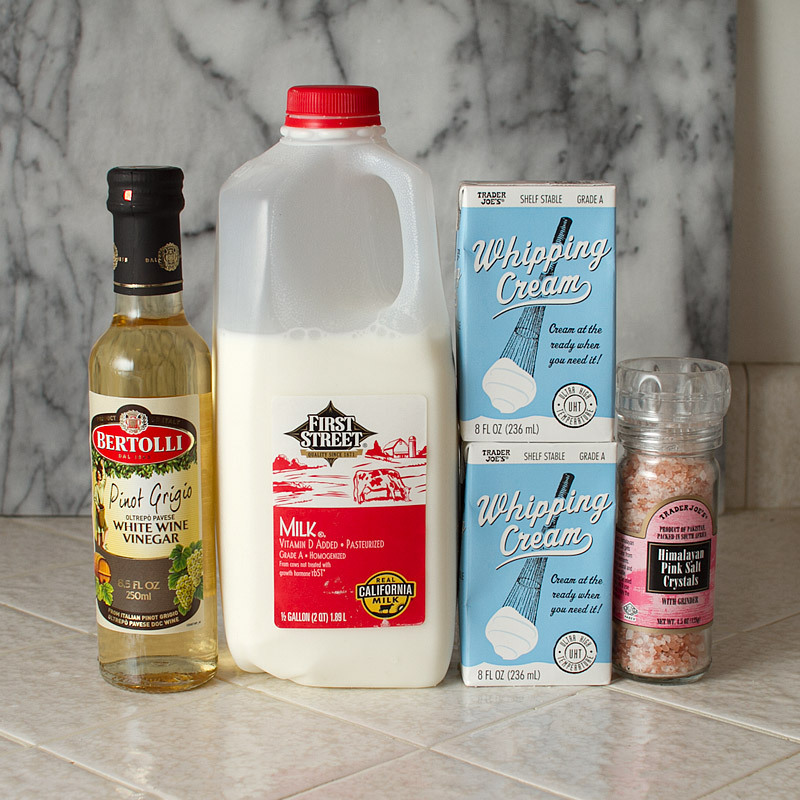 White wine vinegar, milk, cream and salt is all you need for fresh, homemade ricotta cheese. 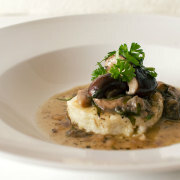 Get some good white wine vinegar for this, as the flavor will carry through to the end result. 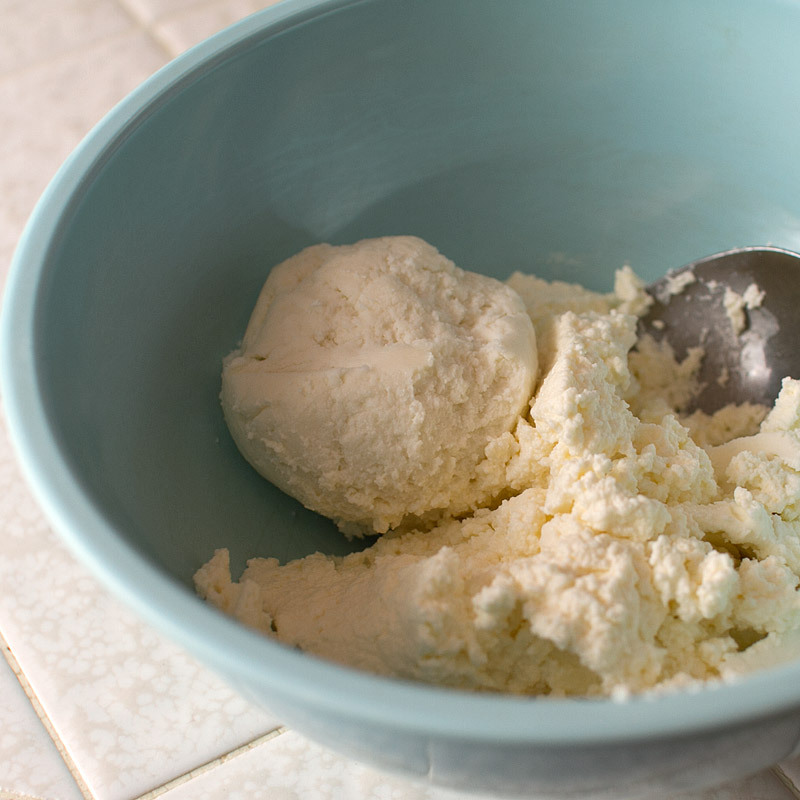 The good thing about ricotta cheese – no need to keep track of temperature. Just bring it to a boil then add in the vinegar. 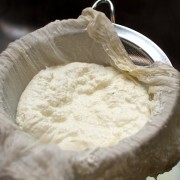 Just like with the goat cheese, strain it through cheesecloth placed in a strainer. I tied my cheesecloth to a cabinet knob and let it drain down. 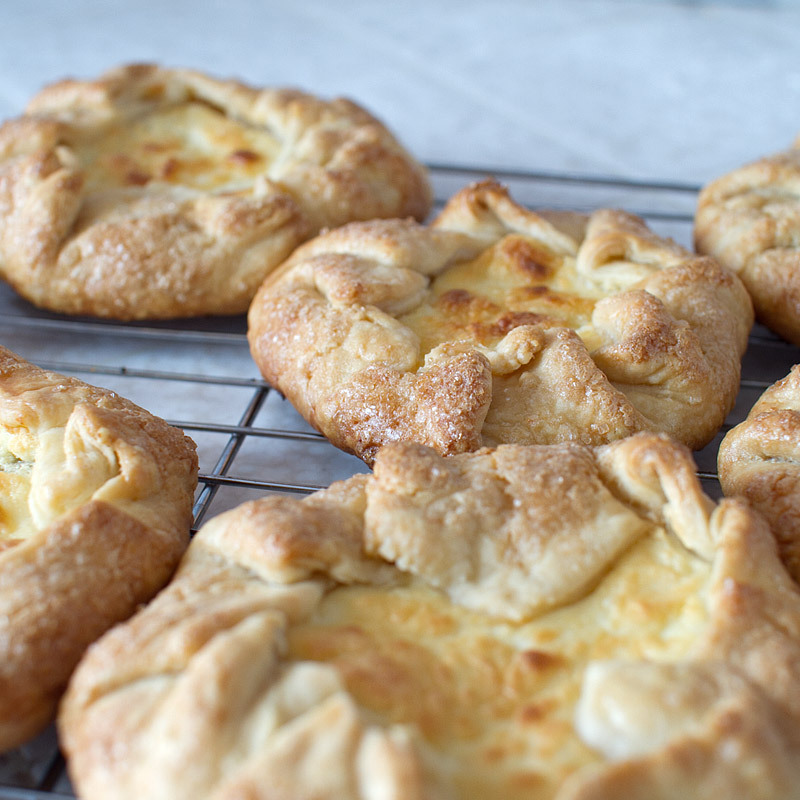 Combine the goat cheese and the ricotta cheese and set aside while you make the pastry. This pastry dough is my favorite. Super simple, no fancy equipment. You can get step by step instructions on the pastry part on my previous post about crostata here. 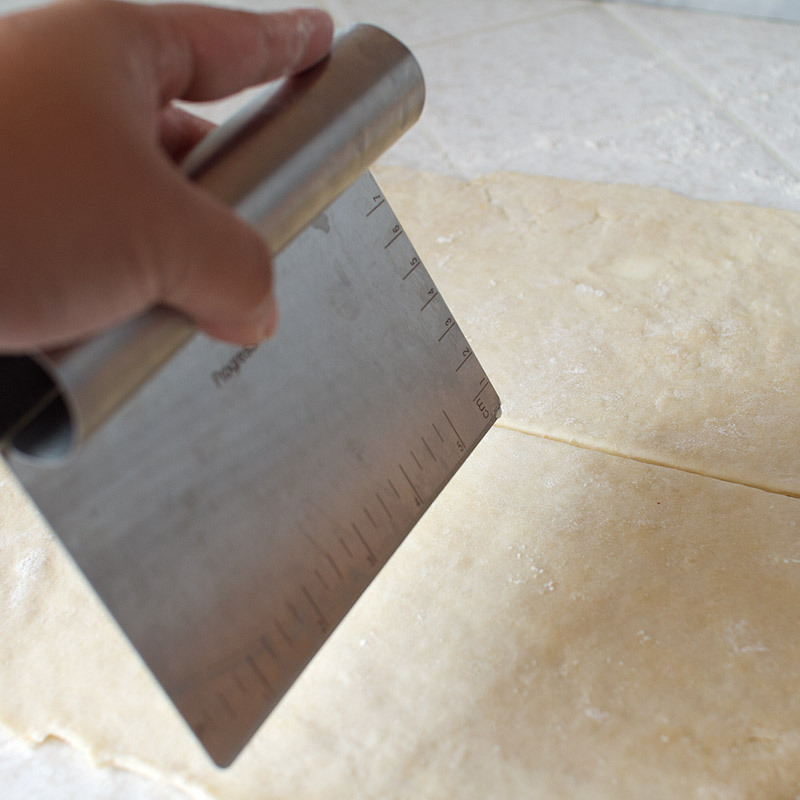 After the pastry chills, roll out 1/2 of the dough on a lightly floured surface. If making mini crostatas, divide into 4 equal parts. If making one large crostata, spread the cheese mixture over top, leaving a 2″ border around the edges, then crimp up the edges to form the crust. 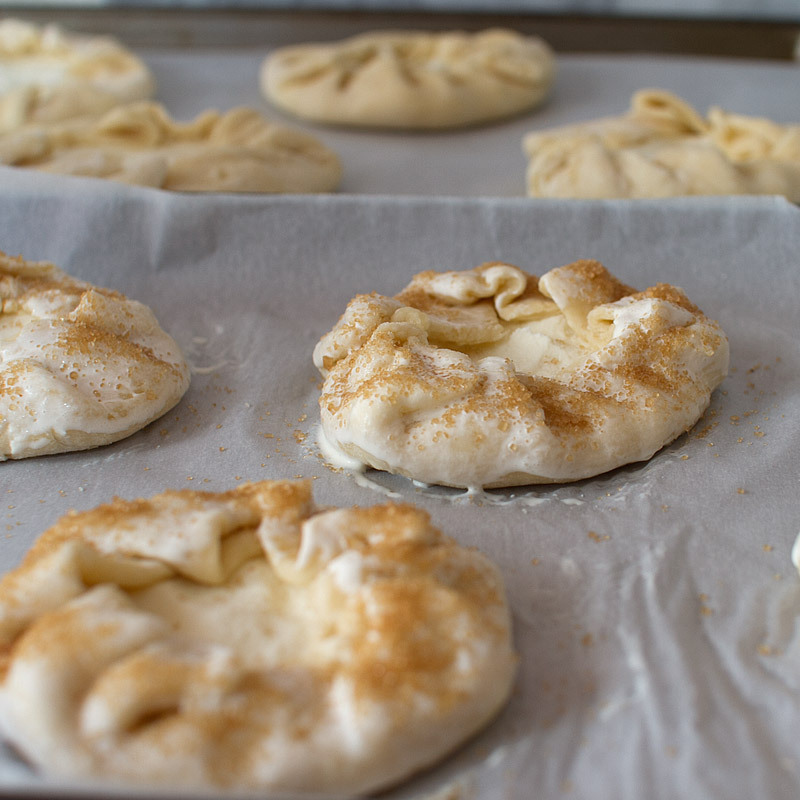 For mini crostatas, spread ~2 tbsp of the goat and ricotta cheese mixture over top, leaving about a 1″ border around the edges. Fold the edges over to create the crust. Brush the edges with milk and sprinkle with raw sugar. Bam. 40 minutes at 375F. 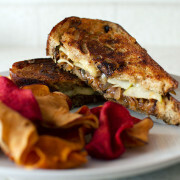 Top with the lovely and oh so delicious Tomato and Vanilla Bean Jam! sooooo goooood. 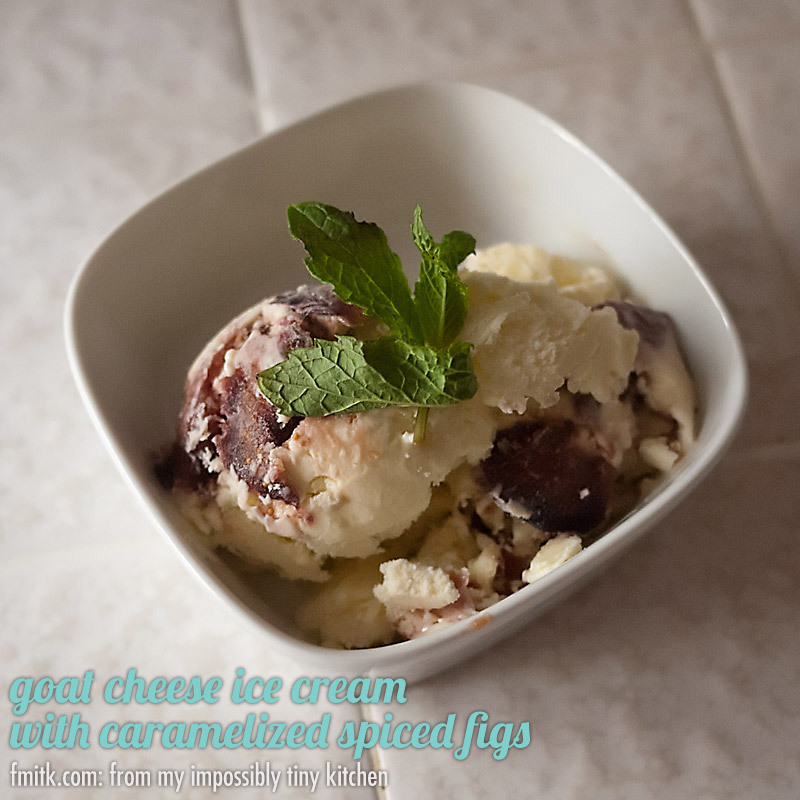 Not quite a cheese course, not quite a dessert course, but definitely works for either! Follow the instructions for the Urban Cheesecraft Kit. 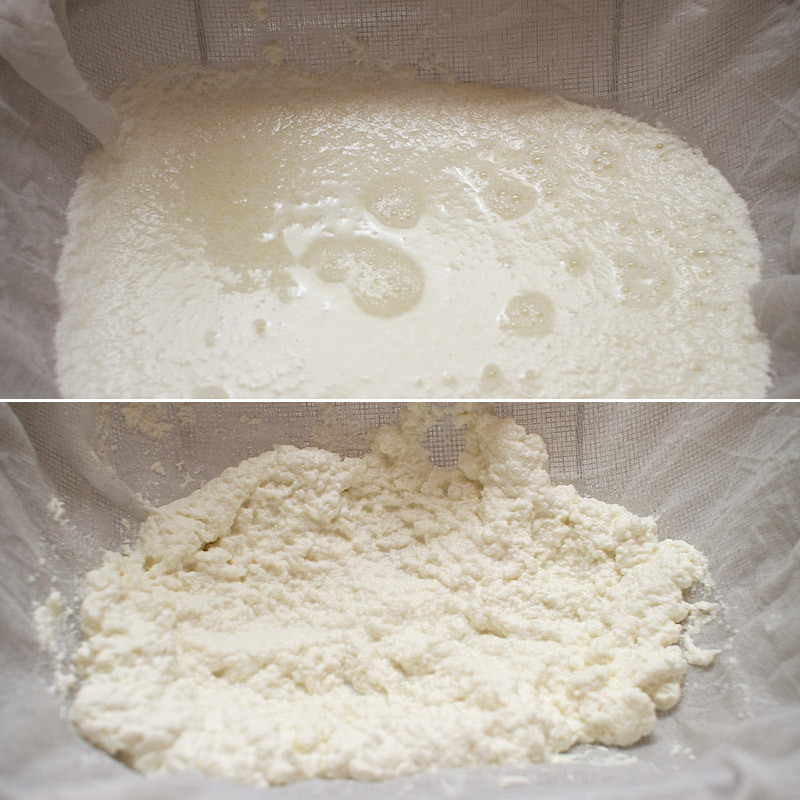 Follow the instructions for the Urban Cheesecraft Ricotta Kit, or follow the steps below for ricotta without the kit. 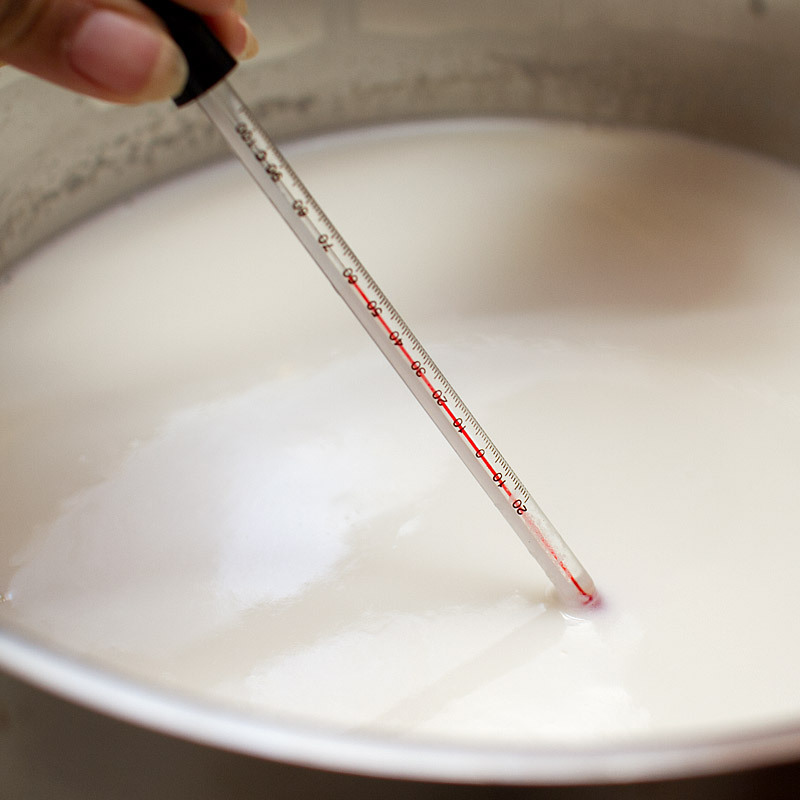 Pour the milk and cream into a non-reactive pot (use a stainless steel or enameled pot). Stir in the salt and bring to boil over medium heat, stirring occasionally so the milk doesn’t stick/burn on the bottom of the pan.Turn off the heat and stir in the vinegar. 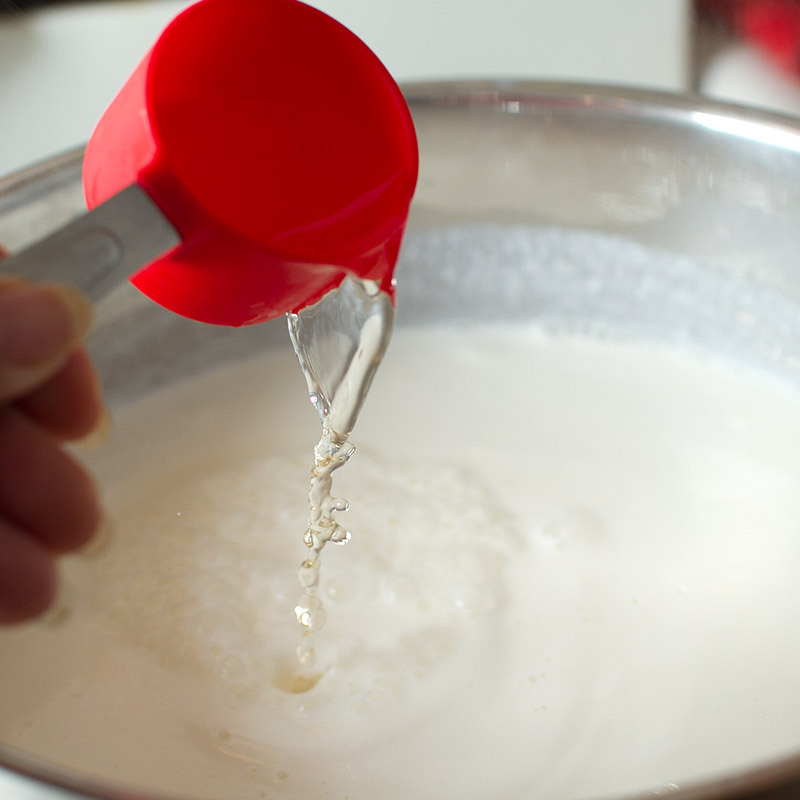 Allow the mixture to stand for 1 minute until it curdles and separates into curds and whey. 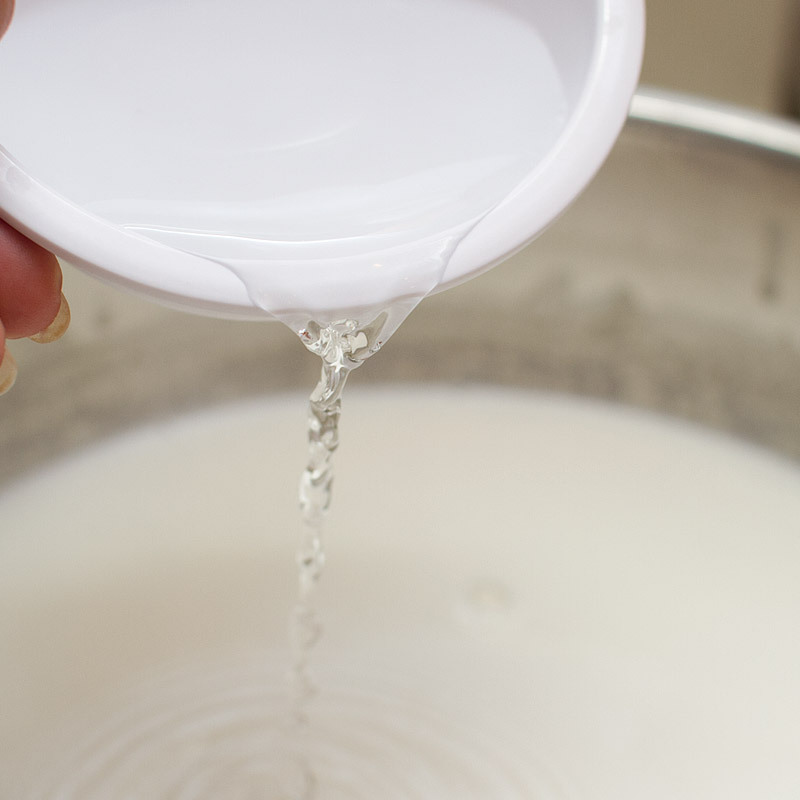 Pour the mixture into the cheesecloth-lined strainer and allow it to drain into the bowl at room temperature for 20 to 25 minutes, occasionally discarding the liquid that collects in the bowl. The longer you let the mixture drain, the thicker the ricotta. Use immediately or cover with plastic wrap and refrigerate. 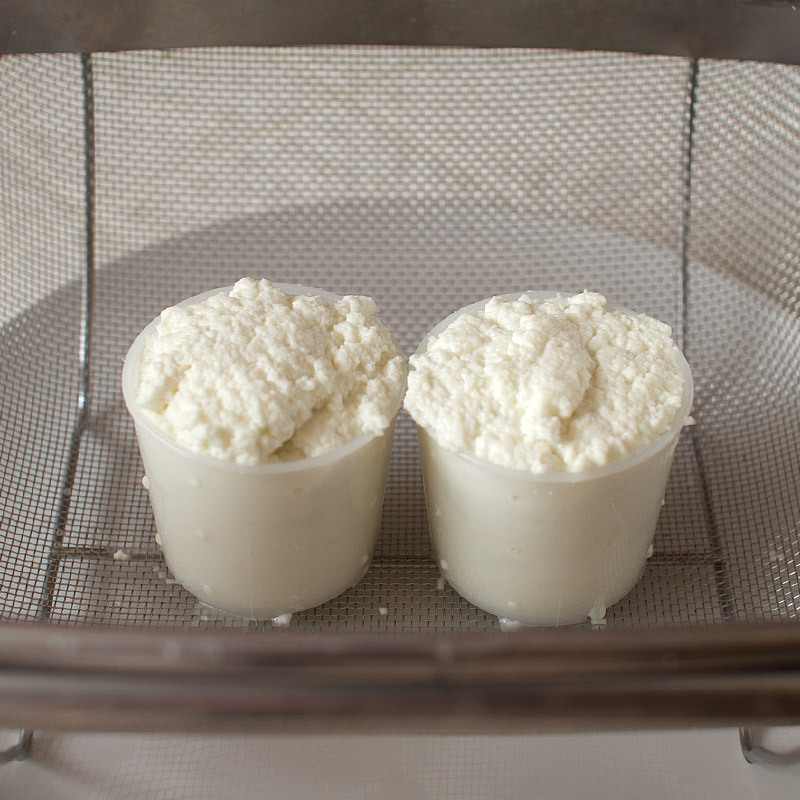 The ricotta will keep refrigerated for 4 to 5 days. 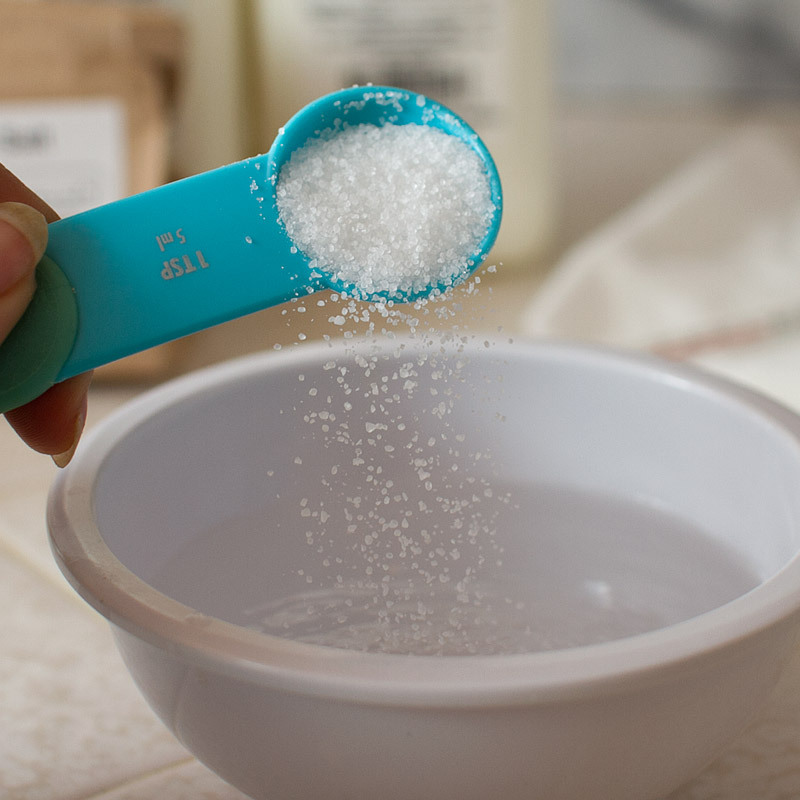 Combine flour, salt and sugar in a bowl and whisk combine. 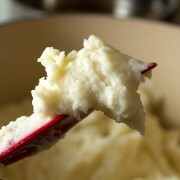 Add in cubed butter and use a pastry cutter (or your fingers, but work quickly so the butter doesn’t melt) to incorporate until mixture resembles a coarse meal. 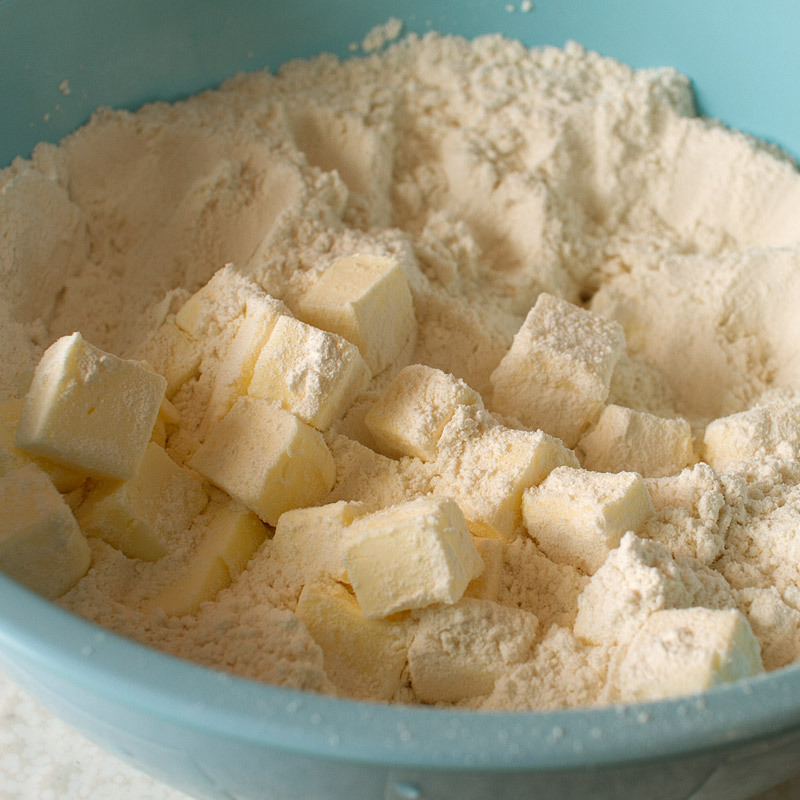 You should still be able to see pea-sized chunks of butter throughout the flour. Gradually add in ice cold water with a wooden spoon, until just combined. You’ll have to adjust how much water you add based on how the dough feels. If the dough is too crumbly and doesn’t hold together when you squish it together, add more ice water, 1 tbsp at a time. 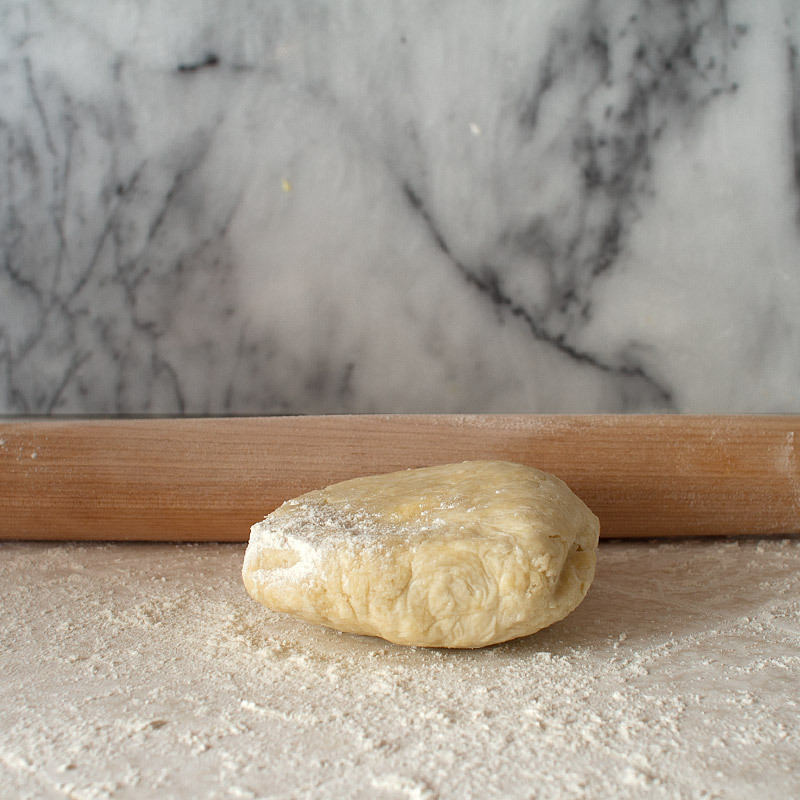 Turn dough out onto a lightly floured surface and shape into two flat discs. Wrap tightly in plastic and refrigerate for 1-2 hours. Combine both cheese and set aside. Roll out dough, one disc at a time, on a lightly floured surface to about 1/8″ thick and 12 inches in diameter. 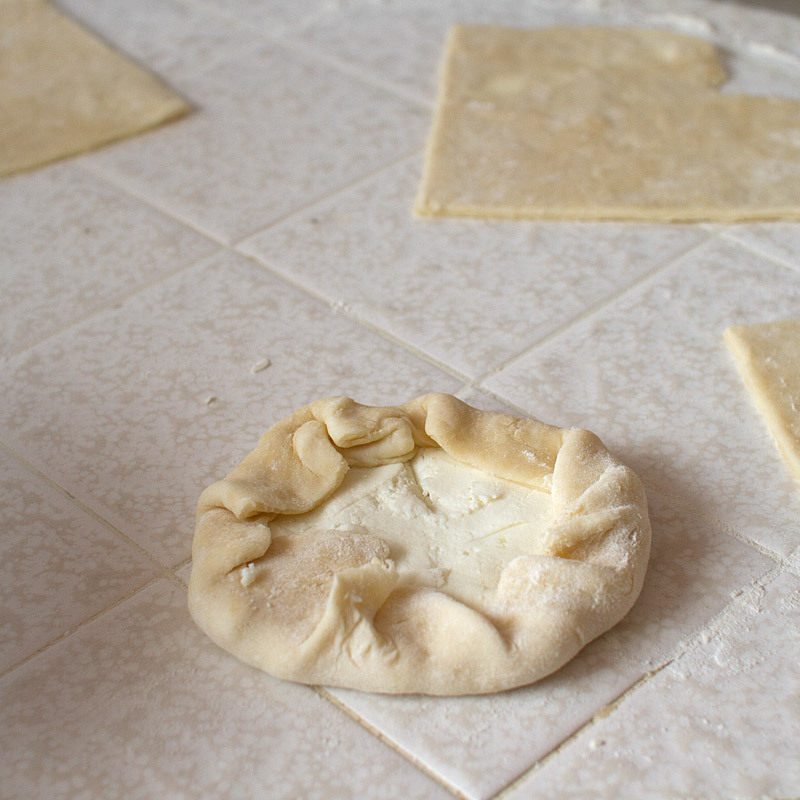 For mini crostatas, divide the rolled out dough into 4 equal parts. 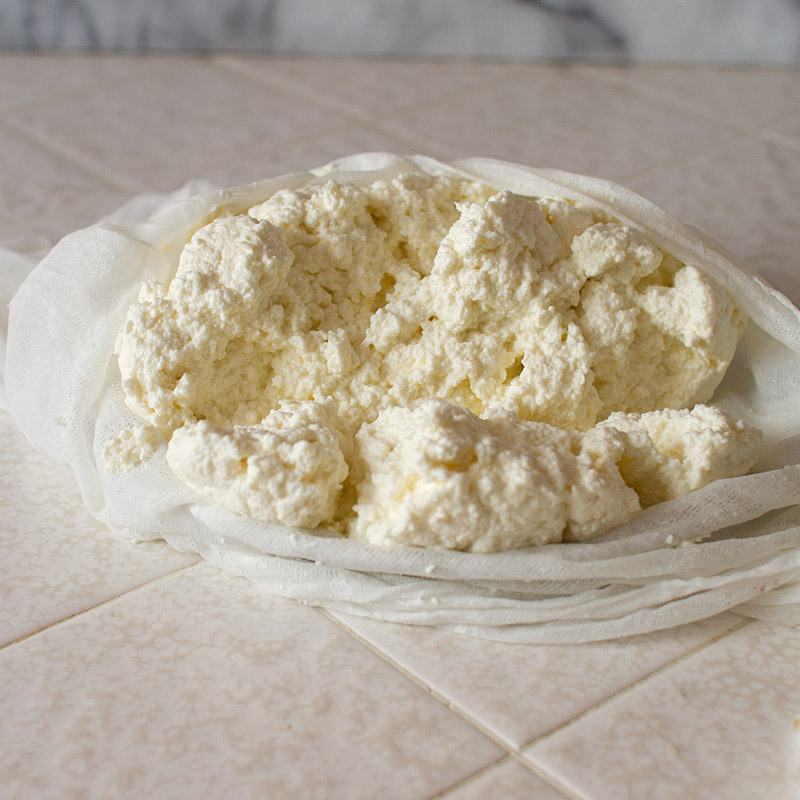 Spread half of the ricotta and cheese mixture over top of the dough, leaving a 2″ border. 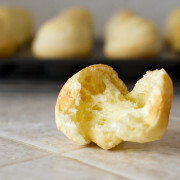 For mini crostatas, spread about 2 tbsp of cheese on each section. Gently fold up the borders of the dough over top of the cheese, pleating as you go. This doesn’t have to be perfect – in fact it should be imperfect and rustic looking. Brush crust with milk and sprinkle with raw sugar. 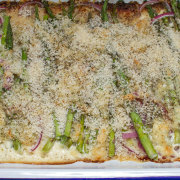 Don’t skip this– it’s what makes the crust look and taste professional lol. Repeat the above 4 steps with the second disc of dough. Refrigerate your assembled crostata while working on the second one. 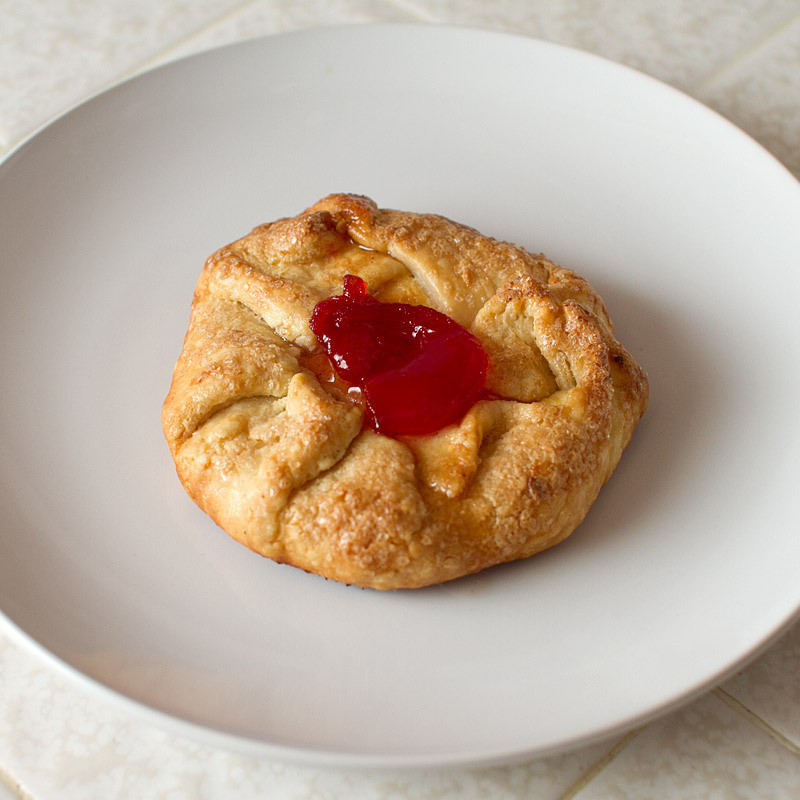 Place the crostata in the freezer while the oven preheats to 375 degrees F, about 10 minutes. Bake for 40-45 minutes, until crust is golden brown. Remove from the oven and slide the crostata off the baking sheet to cool on a wire rack. Let it cool as long as you can stand it. I made it 22 minutes. 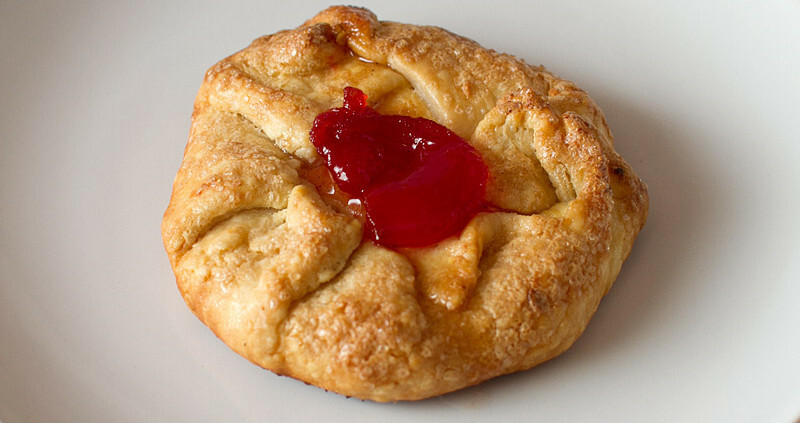 Top with Tomato Vanilla Jam and devour.